I named this photo Patience, because of the patience of the Buddhist monks who sit all day waiting for generous tourists to put money in their alms baskets. 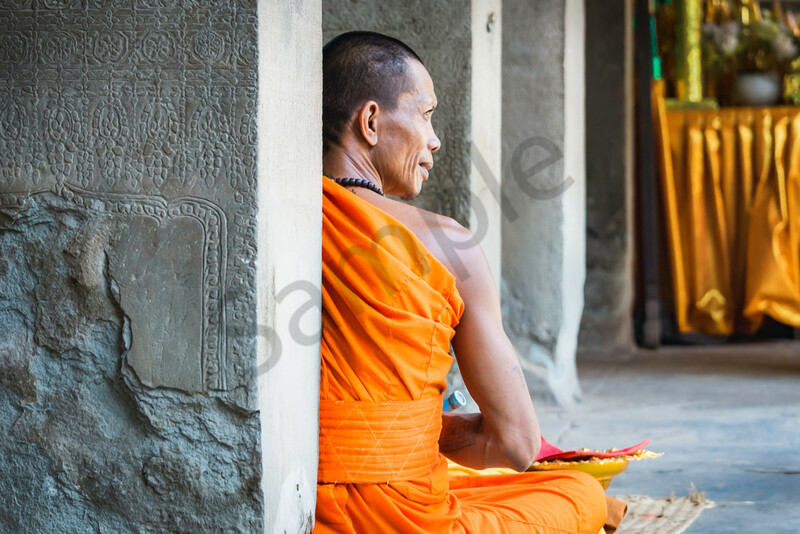 I came upon this monk from behind and loved the orange of his robes against the gray of the sandstone rock. He was sitting up so straight, and his head was at a great angle. The orange in the background beautifully reflected the orange in the monk's robes. This would be a great shop to adorn a yoga studio or any Asian-themed room. Available in various sizes and mediums.